Hello everyone, my name is Toru Komuro and I am a member of the new Rebelscum Japanese site Japan.Rebelscum.com. I have been an avid collector of Star Wars for many years. I first started collecting when I was young and it has been a passion of mine ever since. After collecting and learning everything I could in my country, I moved to the United States to get closer to what I love the most. I have been here now for 20 years and the things I have experienced and become a part of have been a lot more than I expected. In 1978, turmoil from a galaxy far, far away finally reached the big screens in Japan. Tickets were selling by the thousands, and in every big city everyone was talking about the new Star Wars movie. The stage had been set for a new promotional era in Japan. The first company to realize this potential was Coca Cola. They had devised an ingenious marketing plan that not only boosted sales, but also began a race for toy products throughout Japan. They began advertising new bottle caps which would contain a small vinyl picture of characters and scenes from the movie. There would be 50 designs total. There were even 3 color variations which included a gold background, a silver background, and a pink strip design. It seemed the collecting and trading, among the anxious consumers was endless. As an added incentive, Coke began advertising prizes that would range anywhere from various amounts of cash, t-shirts, and even an opportunity to win an R2-D2 AM Radio. 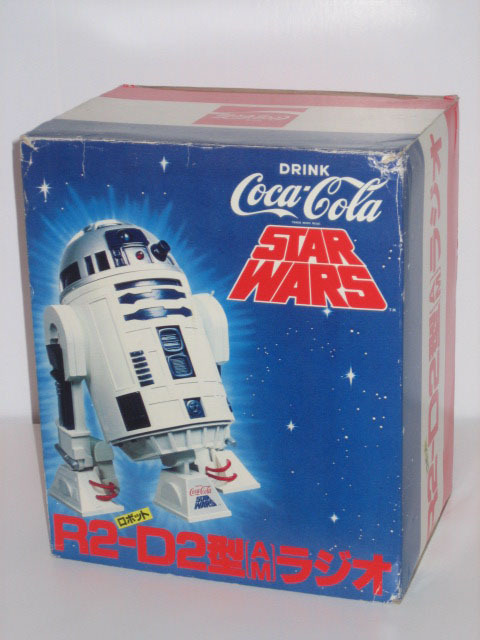 These R2 figures were manufactured by the Fuji Electric Company for Coca Cola and became one of the most highly sought after items throughout the Japanese market. Coke was selling by the millions and companies were beginning to take notice. This R2 figure gained so much popularity, people began asking the company if they could just purchase the item instead. So the company later began selling the R2 Radio for about $40 to those willing to outright pay for it. This marked the beginning of the Star Wars "production wars" in Japan. During the Coca Cola campaign, a toy maker named Takara introduced the first line of Star Wars toys in Japan. The original figures were 3.75" in size. The packaging was the same as the American versions, except for a sticker about 2" in size on the front, which came in a number of different variations. First, they printed a trademark "TM" with English descriptions, and then changed it to "ST" circle which is the seal of the Japanese company that inspects the safety of the merchandise. Darth Vader's character was even displayed with an all white background card as opposed to the orange background that was used everywhere else. Even though the major difference between the Takara and Kenner lines was packaging, three of the actual figures did differ from the American versions. These three were Darth Vader, C-3PO, and the Storm Trooper. A different mold, designed by Takara, was used and all three characters had a screw located on the back, which held them together. Even though there were 12 characters advertised, the Jawa and Death Squad Commander was never released by Takara. Also, there was no country of origin printed on the back of the cards. Kenner also produced an R2-D2 figure which used a sticker to provide R2's details, but Takara decided to give R2 a Japanese touch and provided him with actual detailing in its physical structure. At the time this R2-D2 toy was rumored as George Lucas' personal favorite and was ordered and distributed to the employees of Lucasfilm. This product in Japan was called the "Noko-Noko" R2. "Noko-Noko" is the Japanese term used to describe movements of short and heavy objects, and better known in the states as the "Wind-Up" R2. However this version of R2-D2, was never made available in the U.S., and is thought to have been sold only in the Japanese and Canadian markets. Even though so many products have been released in regards to Star Wars, like these for example, just a few items are truly sought after today. Back in 1980 Popy began releasing their own Star Wars product lines. Much like Hasbro using Kenner as a subsidiary company name here in the U.S., Popy was a subsidiary company name of Bandai, which allowed the consumer to distinguish the difference between certain toys and models that they were trying to purchase. With the Popy ESB product line measuring about 4.5" high, a new style of packaging was designed for the Star Wars figures. It housed the toys inside a compact box and labeled the product specifically for the Japanese market. The idea of the box packaging is possibly due to how it allowed more merchandise to be displayed in a smaller area. To top it off, the Popy line was slightly cheaper than the Takara line, which of course gave it a little more appeal. Popy's line of products ended up producing 15 figures at the time for the Empire Strikes Back. When Return of the Jedi came out, a new manufacturer made their debut by retailing their own Star Wars product line. This company called itself Tsukuda Hobby. Tsukuda had seen the potential in the international market through the success of Takara and Popy, and in 1984 merged with Kenner. They began using the Kenner production line adding a black labeled Tsukuda sticker to the back of each card. The first 20 characters advertised in the Return of the Jedi series released by Kenner, were labeled with the Tsukuda sticker. Together they began to stock the shelves of Japanese retailers with a new line of Star Wars figures. 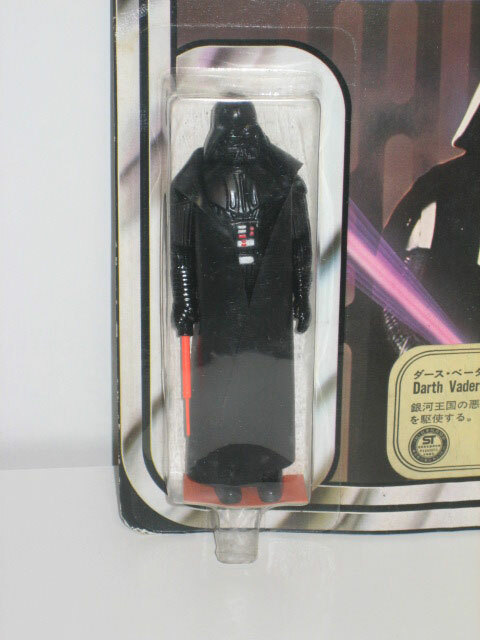 Thanks to popular demand by the Japanese consumer, they even updated their Kenner contract to release as Darth Vader as well. Next I would like to show you some of my personal favorite Star Wars merchandise. A: The first items I would like to talk about are the Takara 8" figures manufactured around 1979. The characters developed for this line included Darth Vader, C-3PO, Storm Trooper, and Chewbacca. This small line of truly unique action figures would later be highly sought after by almost every collector in the Star Wars community, even moreso when it was discovered a labeling error had occurred when the products were first released. On the packaging seen here, three characters had the word "Stoom Trooper" printed on the front. The number of products released with this type-o is still undetermined. The error was discovered fairly quickly, and two of the newer figures in the line (C-3PO and Chewbacca) excluded the type-o from their card. There was also a special R2-D2 unit that served as a coin holder given to V.I.P. customers by Fuji Bank at the time. The greatest feature of this particular R2 unit was the material used to make him, which was the same soft plastic and size designed to go together with the other four R2 units previously mentioned. B: The next items I would like to show you are the figures put together by Tsukuda Hobby. Long after the release of the Return of the Jedi line, Kenner's "Power of the Force" hit the store in the U.S. Kenner was also promoting a line of plastic coins during this time. Tsukuda began retailing the Kenner line to the Japanese market, but with product not moving off the shelves, they were left with an overstock of Kenner action figures and mail-in coins. One day they decided package them together. The back of the product card wasn't labeled with the Tsukuda sticker, but instead was concealed with white card board as seen here. The mail-in coin was attached on the front, and the whole thing was vacuum sealed. Most of these rare items are still being found in Japan. C: The next few items I would like to show you are the items from the Takara action-figure die-cast set. These are especially unique considering the weaponry that was added to make these figures even more appealing to the consumer. Darth Vader came with a glow-in-the-dark lightsaber and a crossbow (which I suppose he stole from Chewbacca) that shot glow-in-the-dark projectiles. 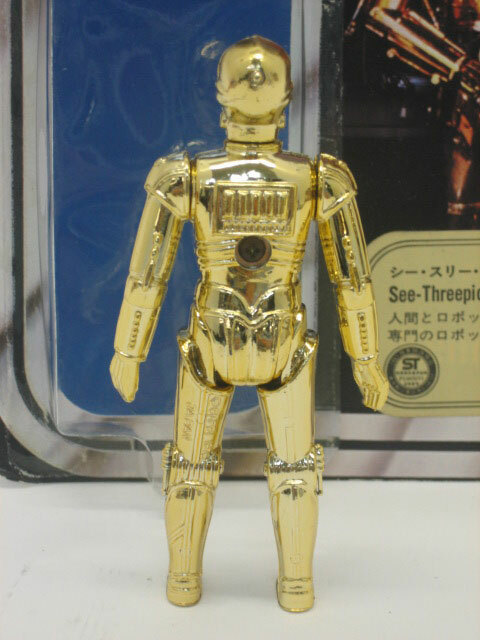 C-3PO came with 2 missiles that shot from his chest - which would've been very handy during his run at Cloud City. The R2-D2 figure shows brief clips of the Star Wars movies as well as the ability to fire plastic missiles. Imagine if he had this feature in the movie - he would have been unstoppable. That's what I would like to see in the next Star Wars movies! Also during this time, three other toys were created. There was the small die-cast "Mini Metal series" R2, the "Robot Walk" R2, and the "Super Control" R2. Much like the other classic Japanese toys, these never made it to the U.S. The die-cast mini metal series R2 unit came in two different types of packaging. One included the black art version, and the other was a window box version. 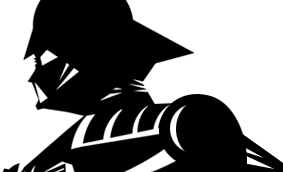 The black art version was the first to be released. There were problems with distribution, which allowed only toy retailers to carry them. Takara then decided to add color and provide a window display on the front for more appeal. They used a sub-name brand called Orion, and began selling the products at a much faster rate and in more various locations, like train stations or small grocery stores. My life from Japan to the U.S. has shown me so much, yet my fondest memories involved playing with my Star Wars toys. The uniqueness of the Japanese Star Wars toys are unlike anything I had ever seen. If it wasn't for me being here in the U.S., I might have never appreciated them as much as I do now. So, I would like to give thanks to all the people involved with the Star Wars community for showing us what happens when different cultures come together and share a common interest and being a part of something that has changed or touched our lives in so many different ways.